In the last article, we discussed the architecture of spring framework. In this article, we are going to build our workspace with required spring framework 4.3.9 APIs and develop our first application using the Spring Framework. 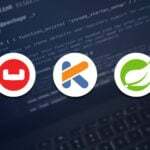 In this article, we will use eclipse and the maven plugin in order to build a Java based application using the spring framework. The following are the steps. 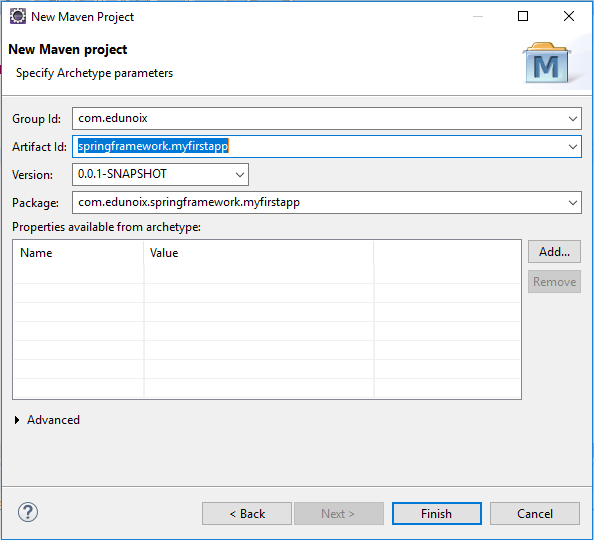 • Step 5: – Open pom.xml file for the maven project ‘springframework.myfirstapp’ which you have just created and add the maven repository URL for spring framework 4.3.9 version APIs as shown below. 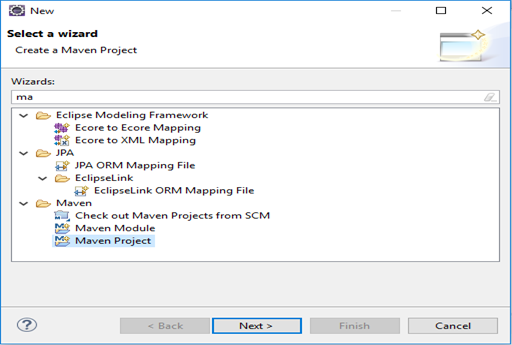 • Step 6: – Maven tool will automatically download the required APIs for the spring framework and set the project build path for the Java/J2EE application as shown below. 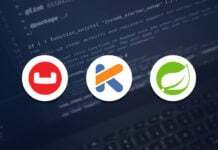 At this point, the installation of the following spring framework APIs have completed and we are ready to implement them on our first Java application with spring framework. 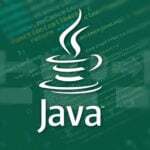 We have to create the following JAVA classes and bean configuration XML file in order to develop our JAVA application using Spring Framework.• Step 1: – Create a source class say SpringSource.java, the following will be the code for this file. 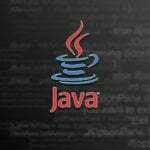 • Step 2: – Create a SpringMain.java class, the following will be the code for this file. To understand the above program that uses spring framework, it is very important to remember the following two points. • Firstly, we have created an application context by using spring framework API ClassPathXmlApplicationContext (). 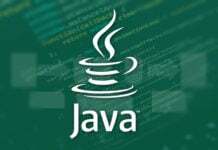 This API helps load the beans configuration file which is ultimately based on the provided API and further it can help to create and initialize all the objects based on the beans mentioned in the actual configuration file. • Secondly, we have to get the required bean by using getBean () method from the instance of the created context object. This method ultimately uses a bean ID in order to return a generic object. This generic object can be further down casted to the actual object of the required type (here SpringSource). Once we have an object of the required type (i.e. SpringSource), we can use this object and call any of the method present in that class. It is a very important XML (application-beans.xml) file as it contains the required Bean Configuration. It acts as an adhesive that keeps beans (i.e. classes) intact. 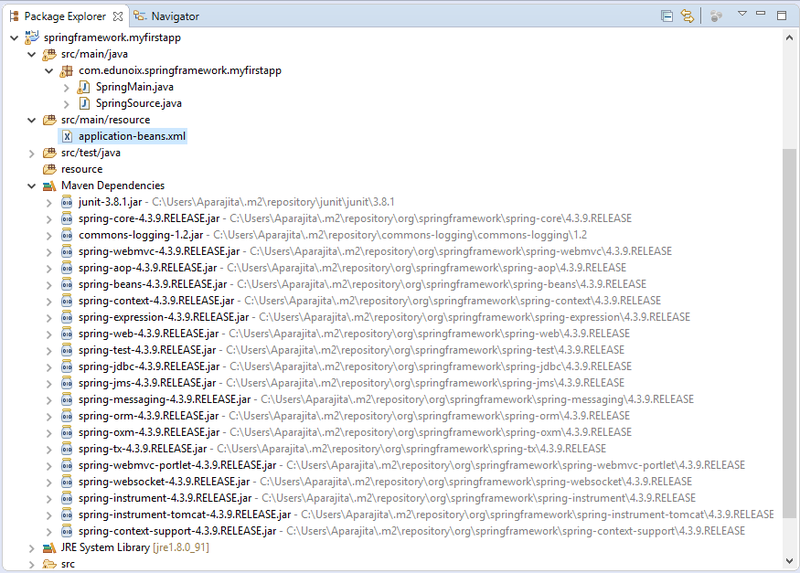 Always, this file should be created under the resource directory in any maven project as shown below. 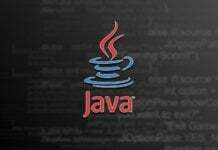 When we will execute the SpringMain.java class as a Java application in eclipse then we will observe the following output. Aug 05, 2017 8:40:28 PM org.springframework.context.support.ClassPathXmlApplicationContext prepareRefresh INFO: Refreshing org.springframework.context.support.ClassPathXmlApplicationContext@21b8d17c: startup date [Sat Aug 05 20:40:28 EDT 2017]; root of context hierarchy Aug 05, 2017 8:40:29 PM org.springframework.beans.factory.xml.XmlBeanDefinitionReader loadBeanDefinitions INFO: Loading XML bean definitions from class path resource [application-beans.xml] Message: This is my first application using Spring Framework 4.3.9. 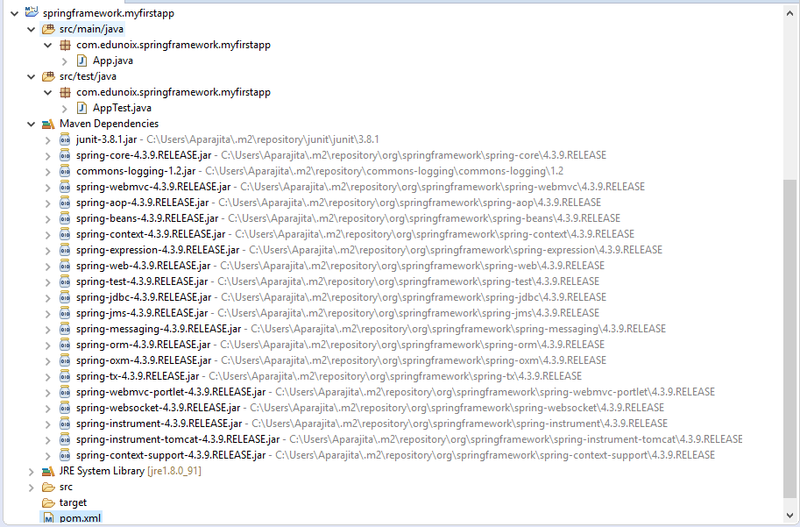 Message: This is my first application using Spring Framework 4.3.9. 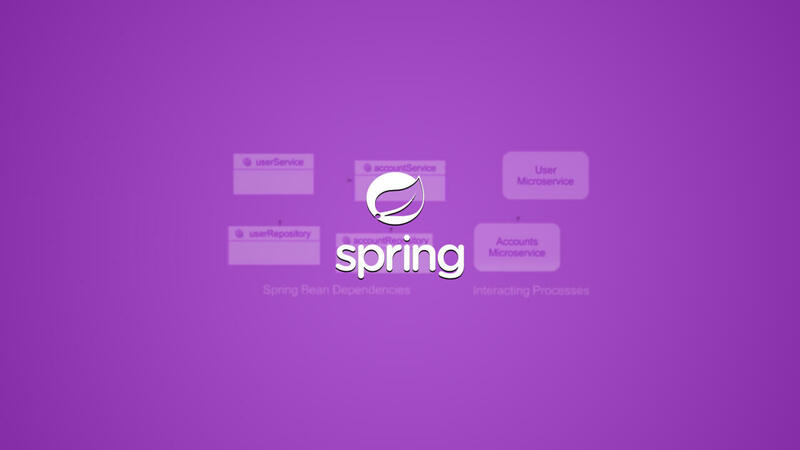 In this tutorial, we have learnt how to setup our environment using Eclipse, Maven and Spring Framework 4.3.9 and developed our first JAVA application using spring framework.